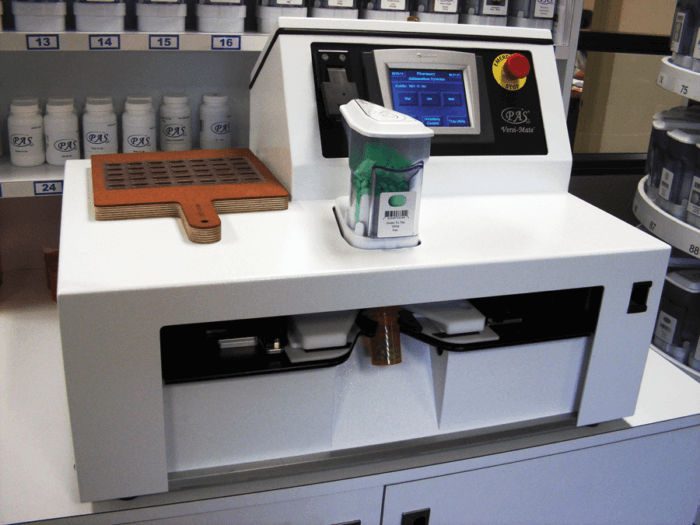 The patented technology of the Versi-Mate makes it the only Pharmacy Automation on the market that can fill both Single-Dose and Multi-Dose Blister Cards for all leading compliance packs currently available in Canada. The Versi-Mate is a stand alone barcode driven table top blister filling machine. Versi-Mate works with unique medication canisters and can be expanded up to 540 medications.